KitMonsters – Esya. The music makers’ guide to making music. 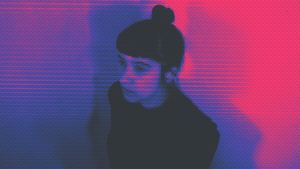 Eşya is a new solo project from Ayşe Hassan of Savages and Kite Base. With stripped back electronics and haunting vocals, it’s an unsettling, beat driven, and wonky exploration of alternate personas, with plenty of beauty, especially on ‘It’s Me’. Eşya set out to transgress comfort zones by experimenting with the complex and contradictory ideas that can exist within one person. 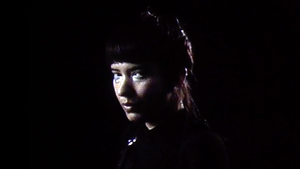 Exploring the myriad manifestations of selfhood through a whirlwind of FM and analog synths, drum machines and for the first time on record, her voice. 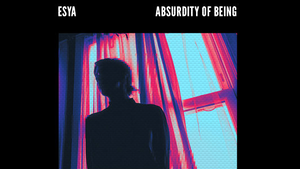 Eşya’s debut EP ‘Absurdity of Being’ is available on pre order as a limited edition 10” vinyl signed and numbered First Pressing, and also as a Bandcamp download, and will be released on 27th July 2018. She has live dates in Europe and the US in May and June. These tracks weren’t originally intended for something solo. They didn’t seem to fit with anything I was doing with Kite Base/Savages - I did try some of the songs out with the project Otomo X - but again the intention/sound etc was different and that project is over now. So I figured I would face my fear and release something myself. A project very different from anything I’ve done before, being the sole member. There were many ideas based on the experiences I had been through with music and life over the past 6 years. How you can be going through some of the best moments in your life and feel sad, how you can be surrounded by a crowd and feel so lonely…how within oneself, you can want everything and nothing all in the same heart beat. Essentially, the contradictions I either experienced personally or saw around me - made me feel more connected to the idea that everything to some degree is absurd and I actually take comfort in that (and use humour to overcome any difficulties). I guess I was fascinated at the idea of dualism, of opposites being in constant interaction with each other and the impact of that. Some of the vocals were recorded whist I was sleeping on a mattress in an empty room - I choose that room because it was on the 4th floor and the view was stunning, I liked the simplicity of not being bound by possessions. I had to sing quietly into my Zoom recorder, trying not to wake my house mates - I decided to keep those vocal takes as it’s symbolic of a moment in time. 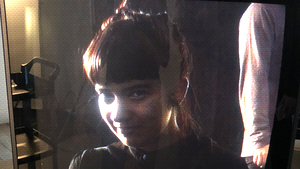 I also was going through a process of wanting to use electronics, but didn’t have access to the things I wanted to try - so I kept recording sounds that I was hoping to manipulate later in the process constantly writing lyrics and using my limited knowledge of Logic to make beats…. It was only later when I had access to a synth and managed to borrow an Octatrack that things made more sense. I only ever went into a studio when mastering. That’s a hard one as I wanted this project to have a element of simplicity to it. 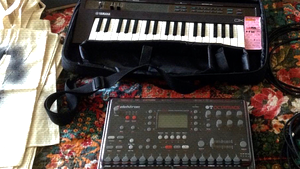 The only equipment I eventually had access to, was a Pro 2, Yamaha DX reface, an Octatrack and a ZOOM H4N. I wanted the constraints to direct the music, which is why I’ve used a mix of samples and sound recordings weaved within beats and sounds from the synth/keyboard. I’ve only just started to explore the wonders of the Octatrack. How was the live debut at Deliaphonic? It was an honour to play as Delia is such an amazing woman, she was a pioneer - there’s a lot to be taken from her life story… and it’s great that she is being recognised for her role in electronic music. Finally I think it’s important to say, that my release wouldn’t have been possible without collaborations with other artists (varied disciplines), but mostly to Chris Hamilton (Kite Base/Torres etc) who mixed my recordings bringing them to life and keeping me on the path to try something new. Thank YOU.